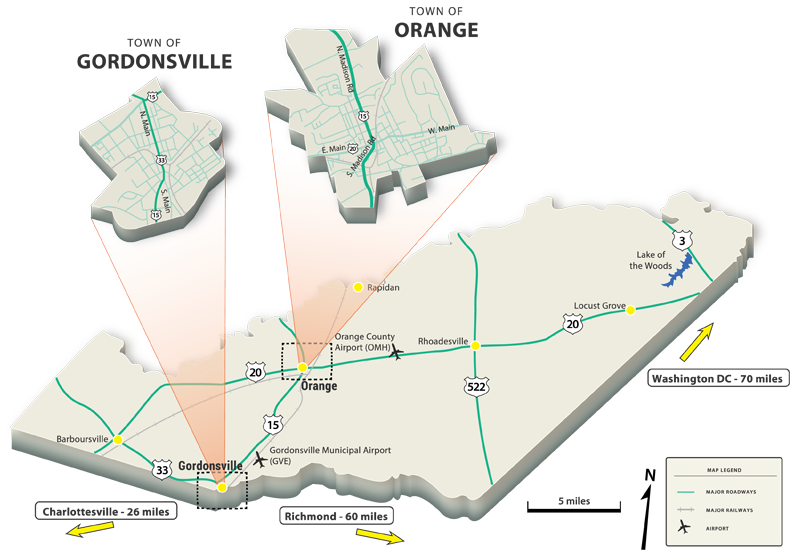 The county-owned Thomas E. Lee Industrial Park offers an optimum location to industries. The 155 acres are situated between three interstates (64, 95 and 81), and opens along scenic U.S. Route 15. The Park is presently the site for several national and international employers in the county: MPS Returns Center, Zamma Corporation, Lohmann Specialty Coatings, and St. Gabriel Organics. The Park has access to public water, sewage and CSX rail.